The wind is a renewable energy resource that we can harness for a variety of functions. If you’ve ever wondered what the uses of wind energy actually are then this article will help you to understand the ways in which we use this particular energy source. You are likely to be familiar with some of the uses described in this article but you may also be surprised at how some individuals and organisations are using the wind to their advantage. One of the most popular uses of wind energy today is for wind power generation. During this process, a wind turbine is used to harness the energy of the wind. As the wind starts to move the turbine blades, a generator starts to turn which then produces electricity. Wind power has greatly increased in its popularity and efficiency since the first electricity generating turbine was created by Scottish academic James Blyth back in 1887 to provide electricity for the lighting of his holiday home. Today, the technology exists to allow us to build vast wind farms that have a capacity in excess of 1,000 MW. Another use of wind energy is in transportation. Civilisations have for many thousands of years used wind energy in transportation in the form of sailing. 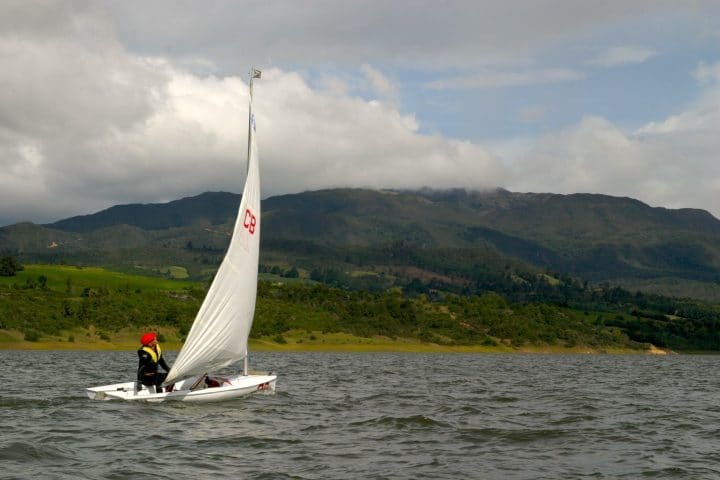 Researchers believe that sailing has been in existence in some form since as far back as 5000 BC. In more recent times we have seen both small and large ships capable of sailing under the power of the wind. It may surprise you to know that some modern shipping companies are beginning to embrace wind energy as a use in transportation. Vessel’s including fishing trawlers and even cargo ships have had large kites installed that are capable of helping to reduce fuel consumption on long journey’s by as much as 30% under the right conditions. This is an obvious attraction for companies that spend significant amounts on fuel and for those looking to reduce their carbon footprint. A more enjoyable use of wind energy is for sports and activities that rely on the power of the wind. Windsurfing – This uses a mast and a sail that is attached to a surf board which a person will stand on to operate the sail. Sailing – This more traditional use of wind energy can be used in sports where individuals or teams will race each other. Land Sailing – Similar to sailing only this is performed on land with a small vehicle that has wheels and a sail. 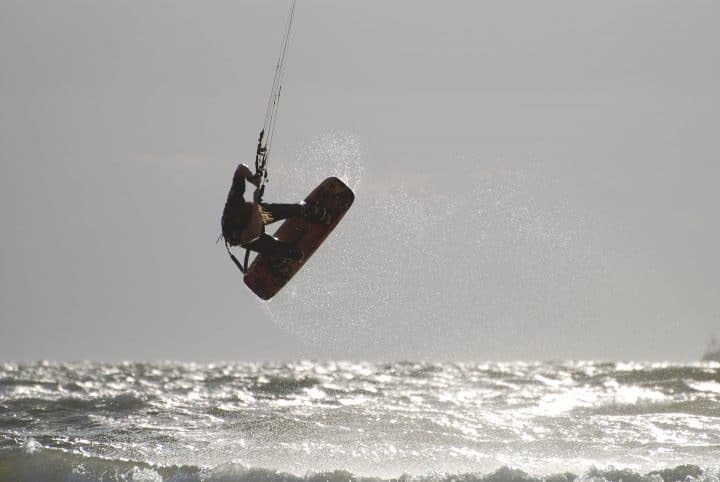 Kite Surfing – A person who kite surfs will stand on a surf board whilst holding on to a kite and ride the waves reaching significant heights in the process. Kite Boarding – Similar to kite surfing only kite boarding is performed on land and the surf board is replaced for a smaller, wheeled board. Kite Buggying – This is similar to kite boarding only a small buggy is used in replace of a board and the person sits instead of stands. Whilst you may think that sports such as parachuting and gliding make use of the winds energy, this is actually incorrect. These sports are classed as “air sports” and don’t necessarily make use of the wind’s energy for propulsion. Wind energy has traditionally been used for food production purposes through the use of windmills. Prior to the industrial revolution, these structures were widely used for milling grain so that it could be then used for producing food such as bread. In more recent times, the introduction of electricity and motors has eliminated our need for such structures and factories can now produce items such as flour much more efficiently. You may not be aware that wind energy can also be used for pumping water through the use of a wind pump. Wind pumps have a similar look to a traditional windmill but instead of milling grain, they can pump water. These structures were historically used for draining land. Similarly to the windmills used in food production, these structures have almost all been replaced due to the introduction of electrical motors. So there we have five of the most popular uses of wind energy. Whilst some are more popular than others, each use boasts its own benefits. We can use wind energy for our own enjoyment, to reduce our carbon footprint or to even reduce our dependency on fossil fuels.